The wedding reception is most likely one of the most expensive parts of a wedding. Of course much depends on the kind of venue chosen, the amount of guests attending and the overall level of luxury one wants to splurge on on their big day. Some choose to keep costs down by having smaller parties or even by eloping, and thus having to only budget for two. Yet it is possible to keep wedding costs down even when you want to have a medium-sized party. This was the case for us, and in this post I want to share some inspiration on how to have a simple yet awesome wedding reception. 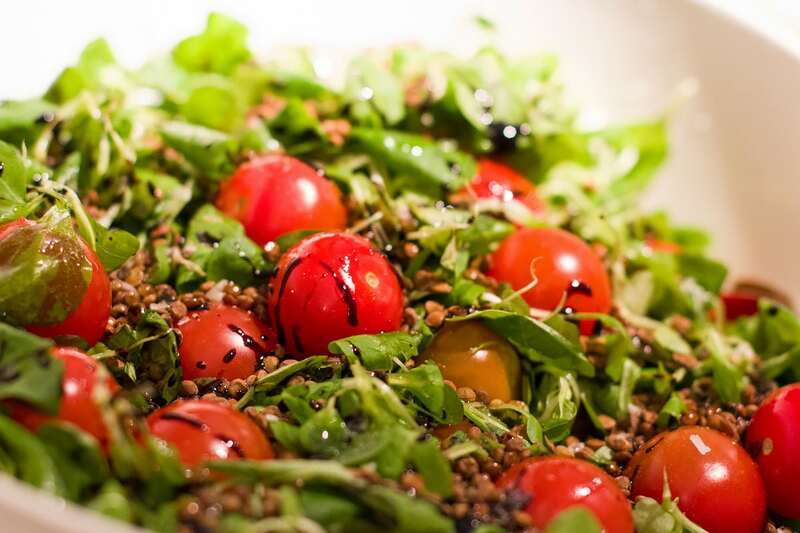 The key elements of a wedding reception are the food, the cake and the decorations. Some might add the music, but we did not have a band nor a DJ, so that was not relevant in my case. 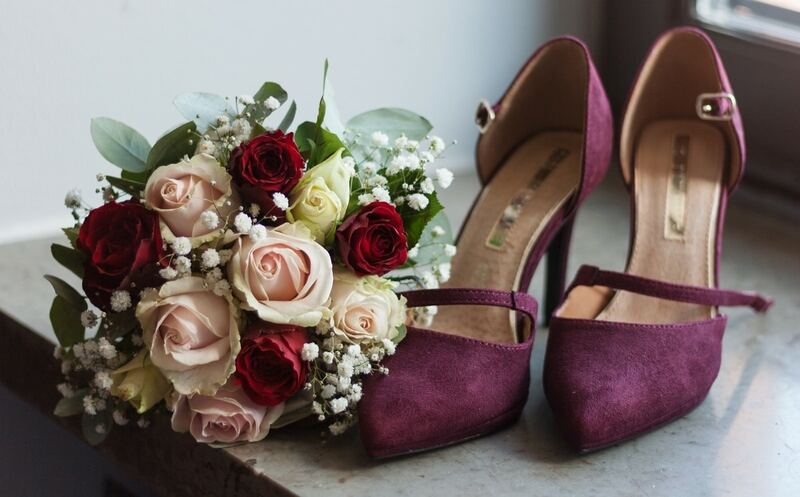 I have already written about how I came to choose the location where we got married and the one where we had our wedding reception, so in this post I’m focusing on the details that made that party our party. The little touches that made everything unique. Every wedding has these features and I’m always excited about those. Since we wanted to keep the costs as low as possible, we went for a buffet dinner and for DIY wedding decorations. Read on to find out more. 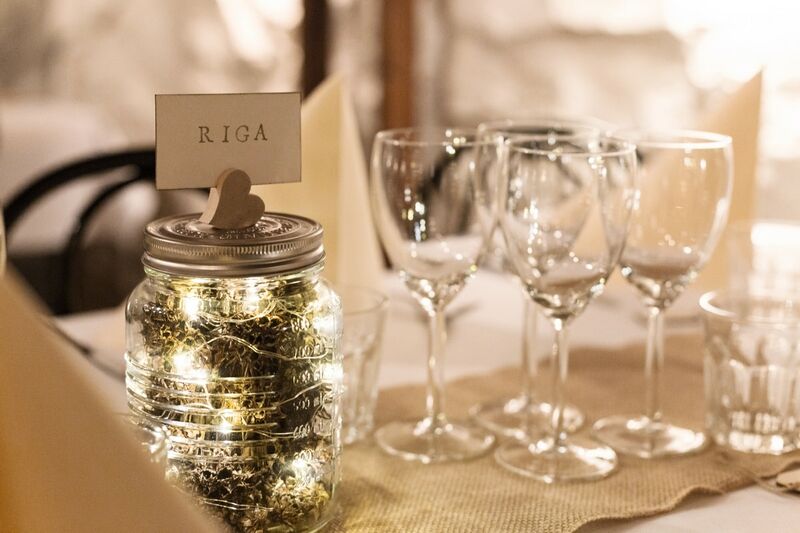 Read more: how I organized my wedding in Stockholm. 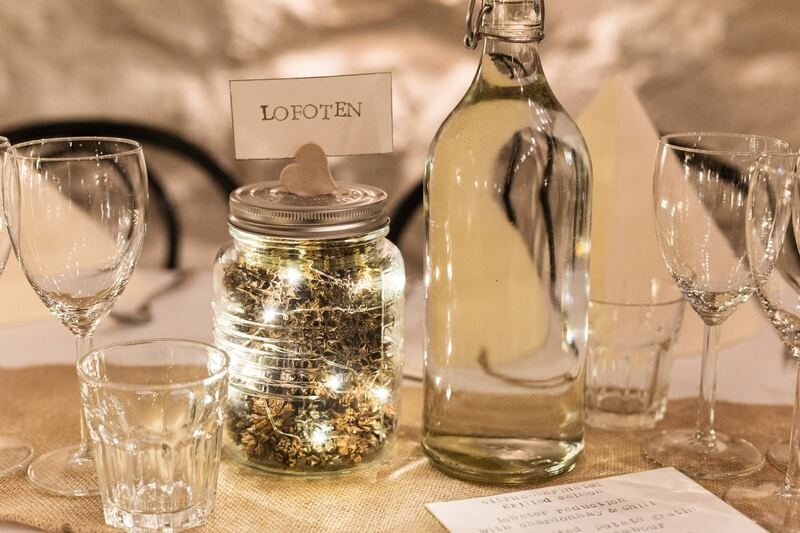 We had our wedding reception at a venue called Festlokal En Trappa Ner managed by the event and catering company Stockholmsbit. 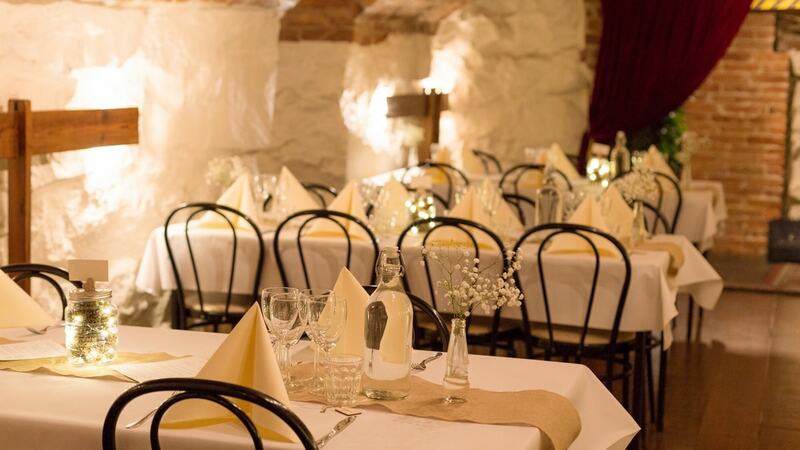 The venue is below street level, in the cellar of a building that dates back to the 1800s. One of the biggest assets about this company is that they allow you to bring your own alcohol. You can of course choose to buy it from them; alternatively you provide your own. 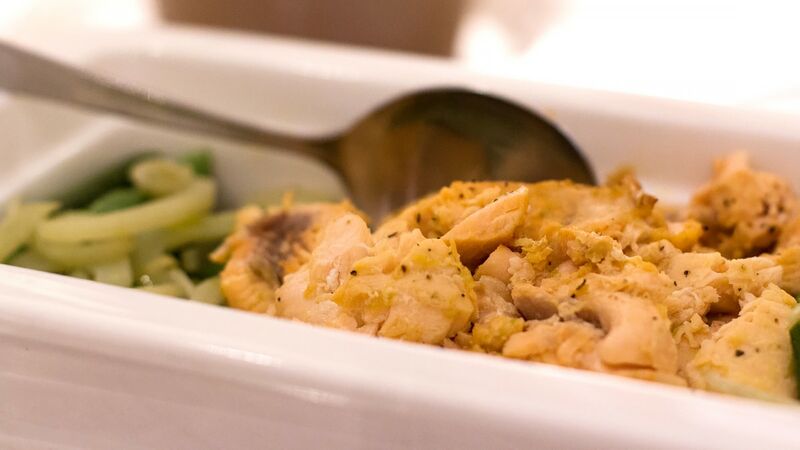 Among the food options, you can choose to have a three course meal or a buffet. 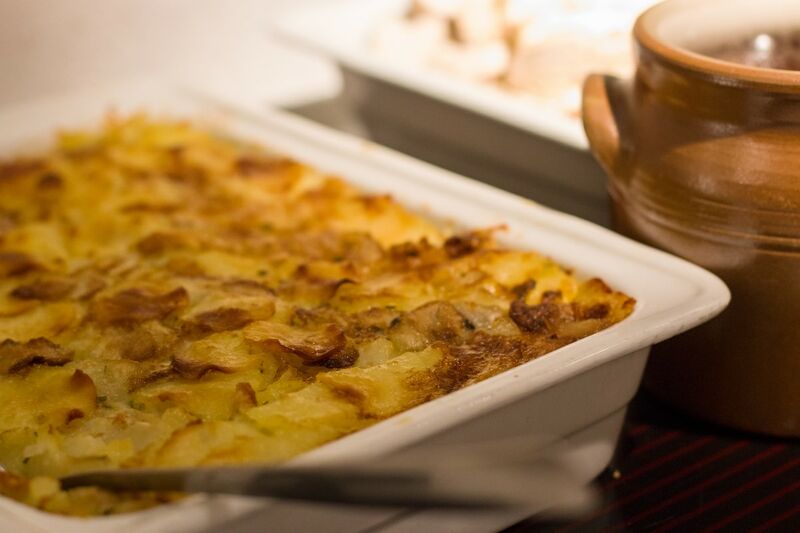 We chose the buffet, so that everyone was free to sample what they liked. I picked one of the suggested buffet menus and had a change made to it to better suit my taste. Since only a small minority of our guests understands Swedish, I translated the original menu into both English and Italian. 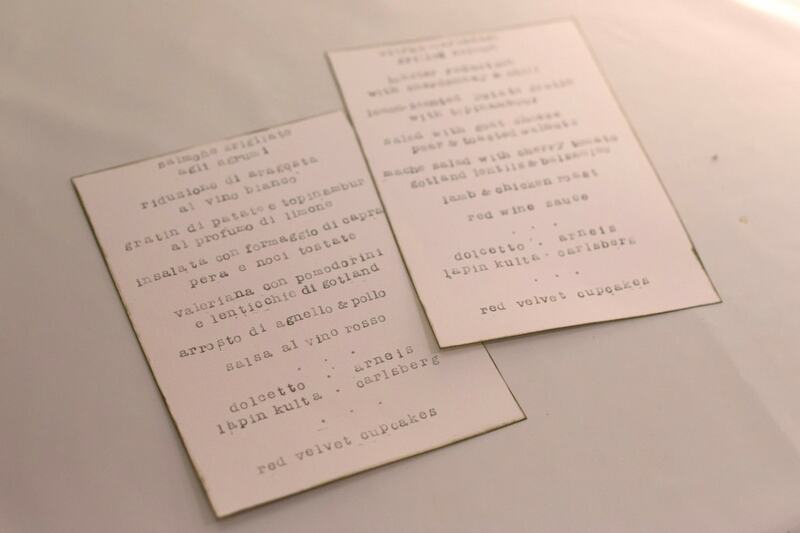 I then wrote down both menus using rubber stamps – yup, letter by letter! I only produced one menu in English and one in Italian, and had colour photocopies (on the same pretty paper) placed on every table. Alcohol is notably the most expensive feature in Sweden, also when it comes to restaurant dining. The alcohol we served at the wedding reception was all a gift. The wine was gifted to us by my parents, who shipped it in from Italy. There are courier services that ship alcoholic beverages up to 14% alcohol within the EU. The bottles must be original and carry an intact seal. We had my two favourite wines from my home region, Piemonte. The red wine was a Dolcetto di Dogliani, while the white was an Arneis from the Langhe area. We also had Prosecco DOC for the welcome toast and aperitivo, and a Riesling Martini as dessert wine. The beer was a gift from a friend who wanted to make us a gift that would contribute to the party. Lapin Kulta is our favourite Finnish beer, and we also asked for something more international so we got a couple of crates of Carlsberg Import. 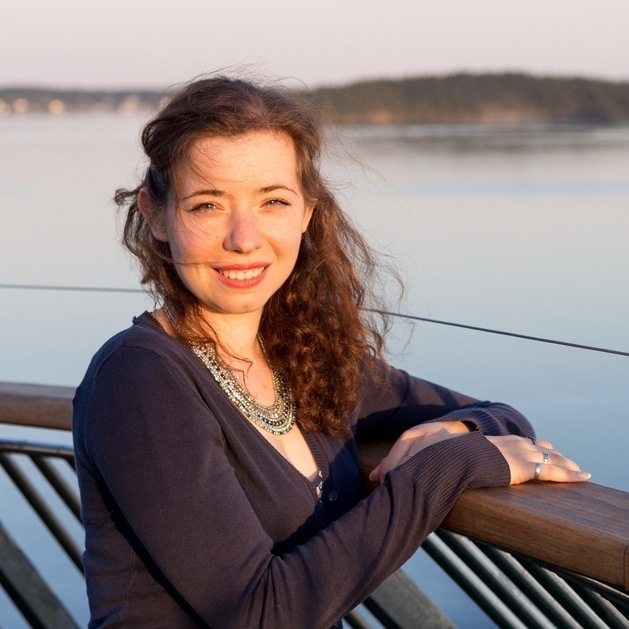 She bought the beer on a ferry to Tallinn – where it is notably sold cheap – and brought it back from her cruise. With wine from Italy and beer from the Viking Line duty free shop we could serve our favourite wines and beers at very convenient prices. Well, it was a bargain for the people who gifted us the alcohol for the party! 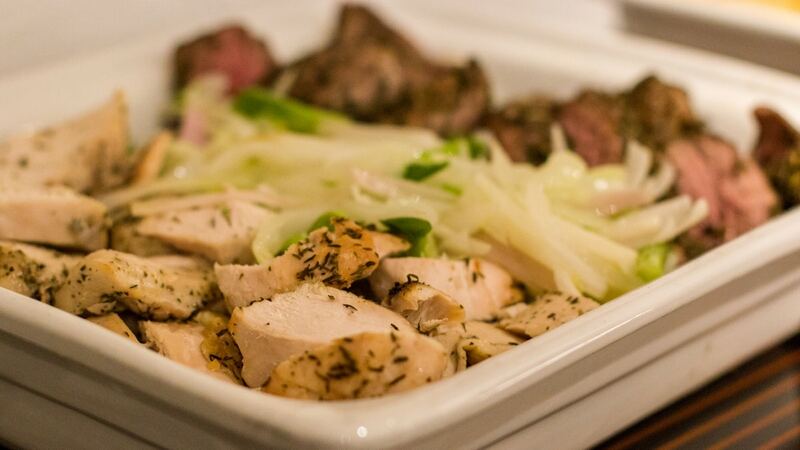 We got to keep all the leftovers, that goes without saying. The prosecco was spot on! 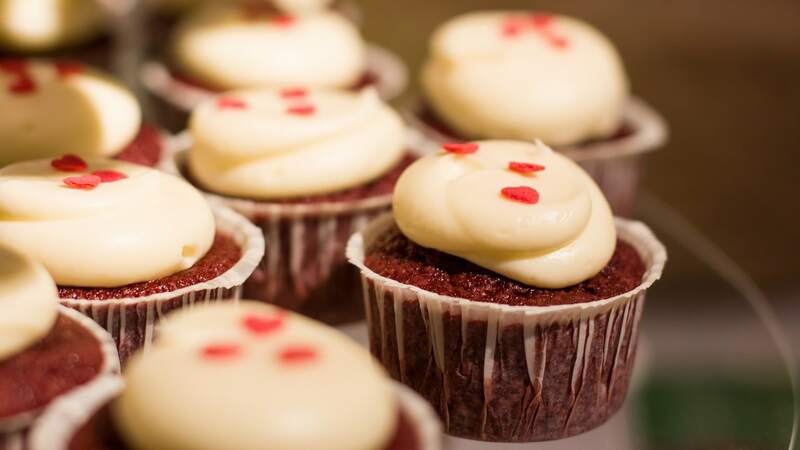 When I discovered my passion for baking, it all started with muffins and cupcakes. 2011 was when I really dived in to this new hobby of mine and taught myself piping techinques to creatively frost cupcakes and cakes. I’ve been a huge fan of cupcakes ever since, and my stay in North America between 2011-2012 just fueled my cupcake inspiration. 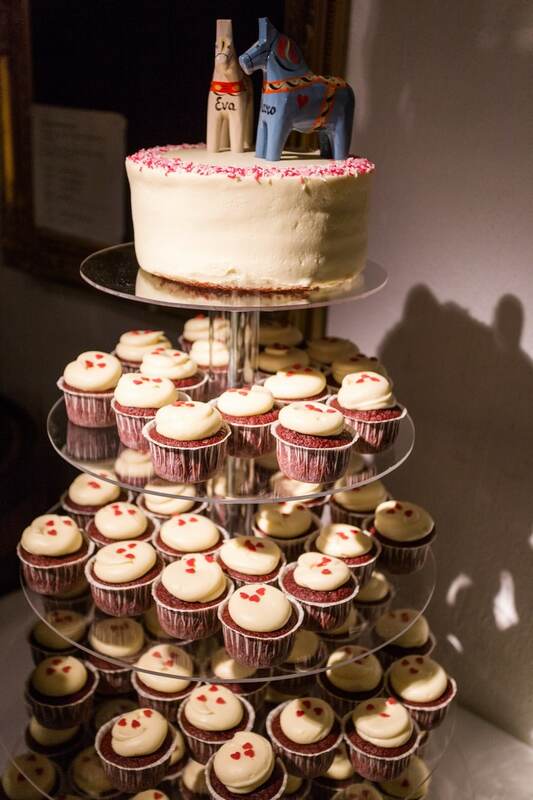 I had no doubt that if I ever got married I would have wanted a cupcake wedding cake! And now the time had come. Fortunately my husband liked the idea, so we went for a cupcake cake for our wedding. Choosing the cake flavour was easy: we both love Red Velvet and didn’t want anything else. 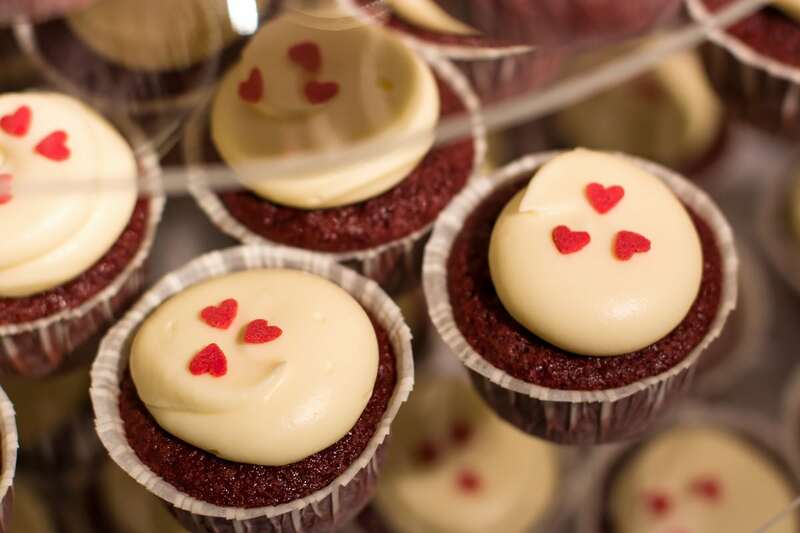 Now, cupcakes and Red Velvet are two very North American things, definitely not something of the Swedish pastry tradition that every bakery can make. Luckily there is one bakery in Stockholm that specializes just in what we wanted and that is Cupcake Sthlm. On that day last fall when I travelled to Stockholm with my friend Ele to check out the reception venue and photo shoot location, we also stopped by Cupcake Sthlm. Before I made a huge order from them I wanted to taste their cupcakes. Needless to say, I was not disappointed. The bakery is fairly small, and although they do have a couple of tables for fika customers, it is mostly catering that is their business. And they’re good at it. 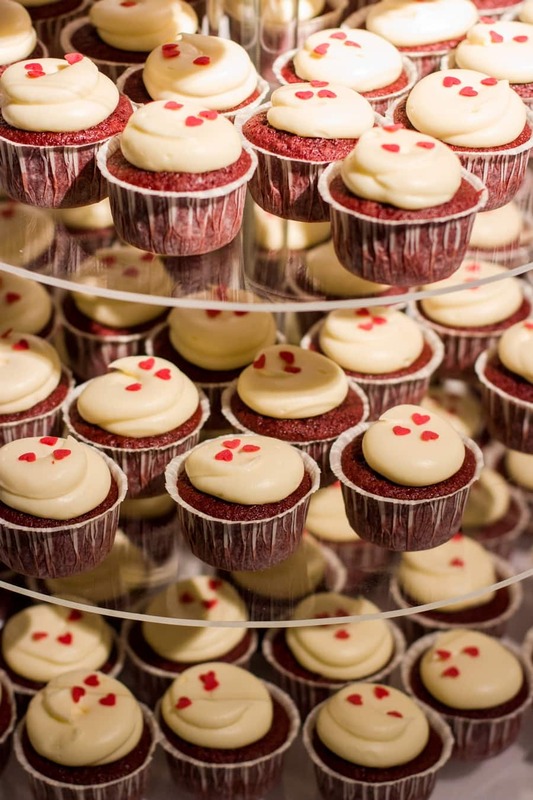 So about a month before the wedding I called the bakery and placed an order of 100 Red Velvet cupcakes and one small Red Velvet cake, with delivery to the reception venue on the day of my wedding. For an extra cost it was possible to rent a cake stand from them, but I had made other plans and had asked my friend Nadia to custom make a cake stand especially for my wedding. Thank Pinterest again, I had seen photos of very simple see-through multiple tiered cake stands made of plexiglas. She knew how to make it, so I got my custom cake stand made for the occasion. I then asked the staff at Stockholmsbit to just place the cupcakes all over, and the small cake on the top tier, with our Dala horses on top. We did not celebrate our wedding in Dalarna, the county in Sweden where we live. But we still wanted a little something linked to this part of Sweden that we call home. 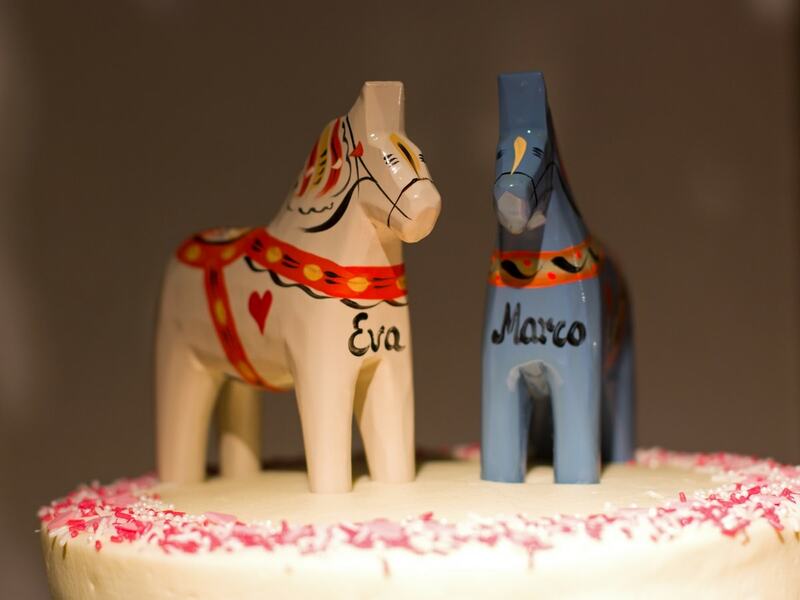 So instead of the classic bride and groom figurines we decided to have two Dala horses on top of our wedding cake. 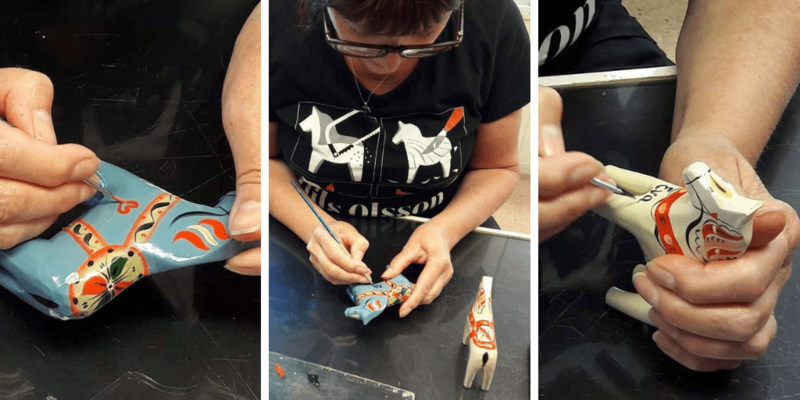 There are two workshops in the village of Nusnäs that make the authentic Dala horses, carved from real Siljan pine wood and decorated by skilled local artists. We had seen that it is possible to buy online a black and a white horse to use as wedding decorations, but chose to drive all the way to Nusnäs to see if we could find something better in person. The two companies that make Dala horses in Nusnäs are Grannas and Nils Olsson. It was in the latter that we stumbled upon two horses that were exactly the colours that we would wear on our wedding day: ivory and light blue. We had no hesitation and chose these two for our cake. For a little supplement you can get them personalized on the spot in the workshop, so we had them decorated with our names and the date of our wedding. 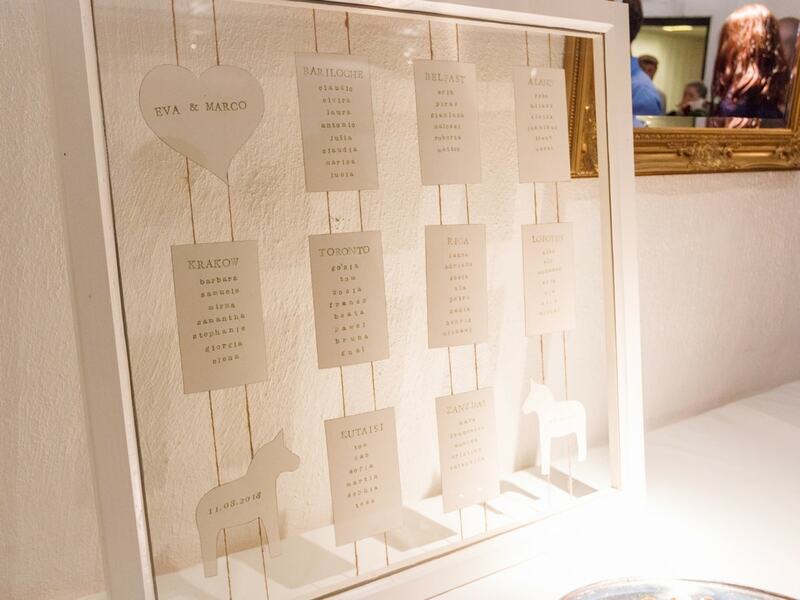 Do I sound cheesy if I say that I got the inspiration for my seating chart from another wedding? Not one that I attended myself, but one that was held at one of the venues that we had initially considered? Obviously I had started researching the place and had stumbled upon lots of pictures from that very wedding on the photographer’s website. One showed their seating chart, it was made from a window and I loved it. Their window had grilles, so each smaller panel had the names of a table written directly on the glass. I also happened to have a spare window in my house. Long story short, we had our old windows replaced last year, and the company that did the work left an old one behind. It was intact, but useless, and uselessly taking up space in my storage room. Still, I never bothered to call the housing company to get it removed. I just left it there, gathering dust. Until my boyfriend proposed, and I started making plans for my wedding, and I stumbled upon that seating chart picture I described above. Heeeey I had a window, too. Suddenly I was very happy I had never called the landlord to get it trashed. My window was a large single panel so we needed to adapt the inspiration that I had found online. I also did not like the idea of writing directly on the glass. When my parents visited I showed them the window and my idea for a seating chart. First, we needed to restore the window. It had a few holes left behind from the hinges and definitely needed a new layer of paint. My dad took care of that, he’s the crafty one when it comes to such work. 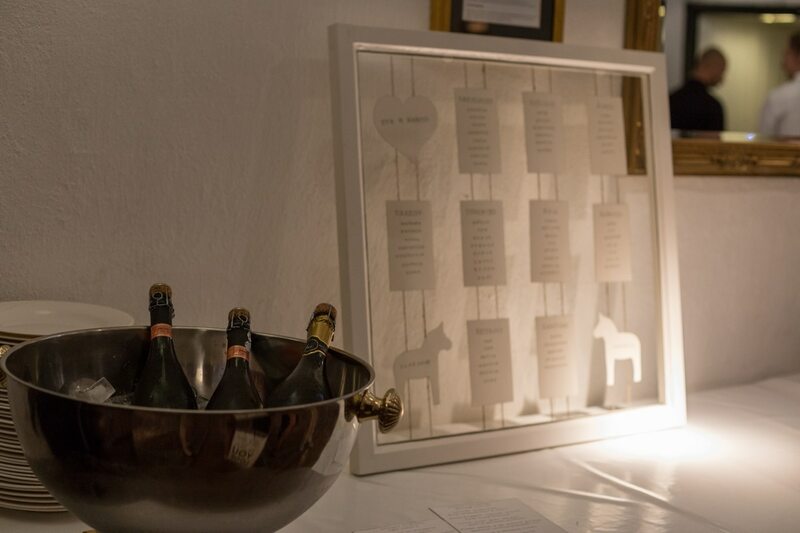 Then we decided to write the names of the guests on the same paper and with the same techinque as on the menus, and attach them on jute twines stretched over the window frame behind the glass. 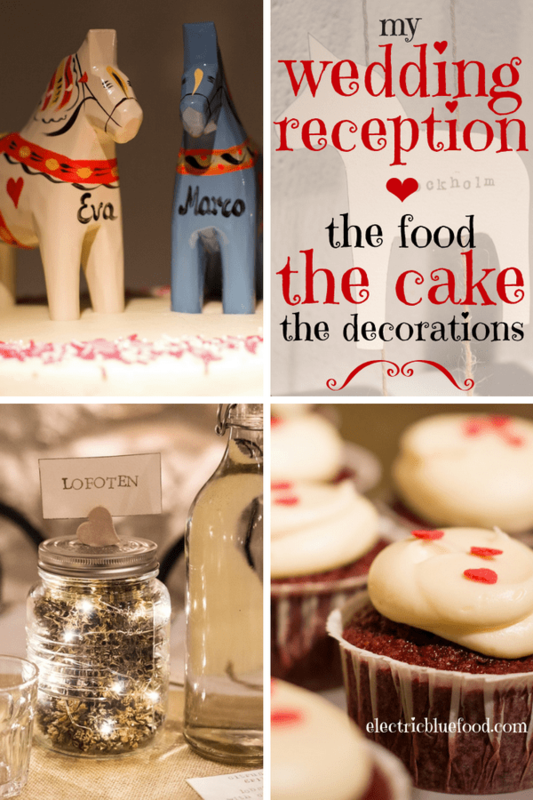 To stick with the Dala horse theme we added two horses with the date and location of the wedding. We named the tables after places where we have been. We both love travelling, and have travelled extensively both before and after we met. The tables where we placed our family members were named after cities we had moved to on our own, before we met (Toronto for my family, Bariloche and Krakow for his family. It was in Krakow where we eventually met). 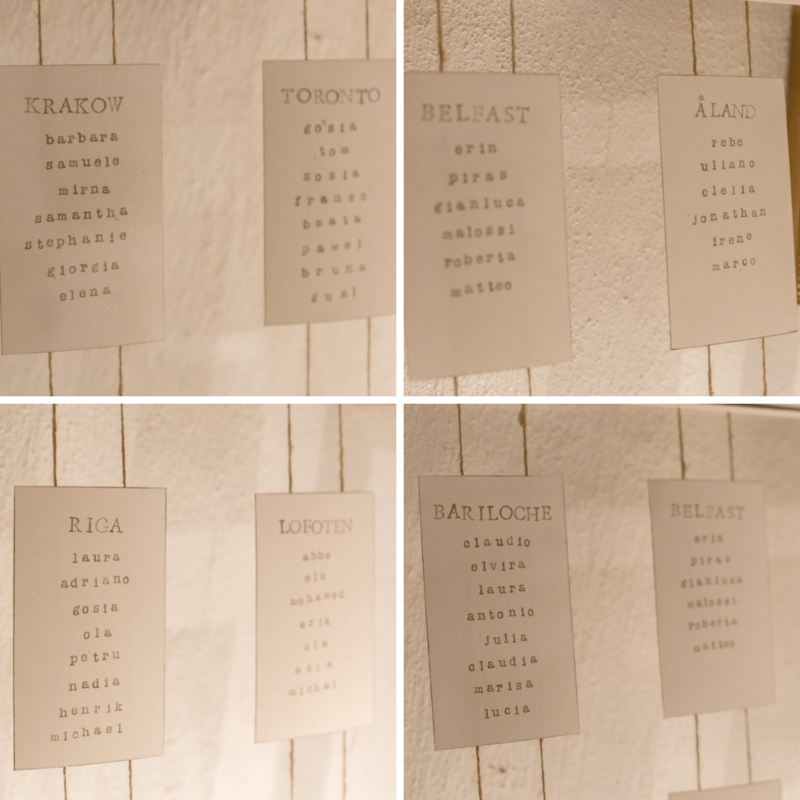 The tables where we placed our friends were, instead, named after favourite places where we have been together: the Lofoten islands in Norway, the Åland islands in Finland, Belfast in Northern Ireland, Riga in Latvia, Zanzibar in Tanzania and Kutaisi in Georgia. I really wanted to have a slightly rustic feel to my decorations, so I went for a jute table runner on every table. It wonderfully matched the individual seat markers with the names of every single guest. 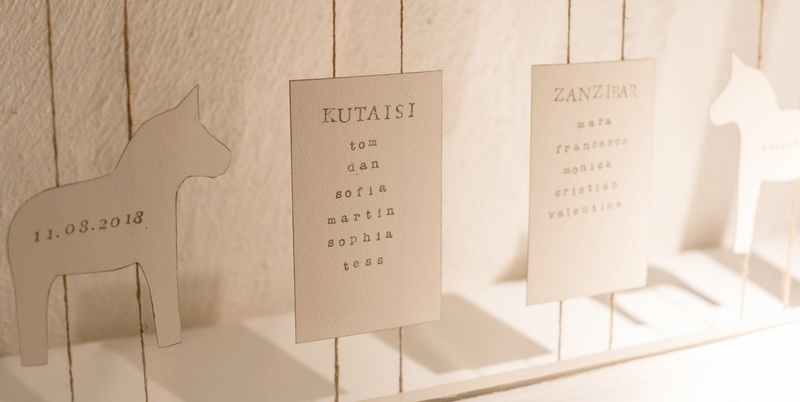 At first I had thought about buying very simple paper seat markers and hand-writing the names on them. 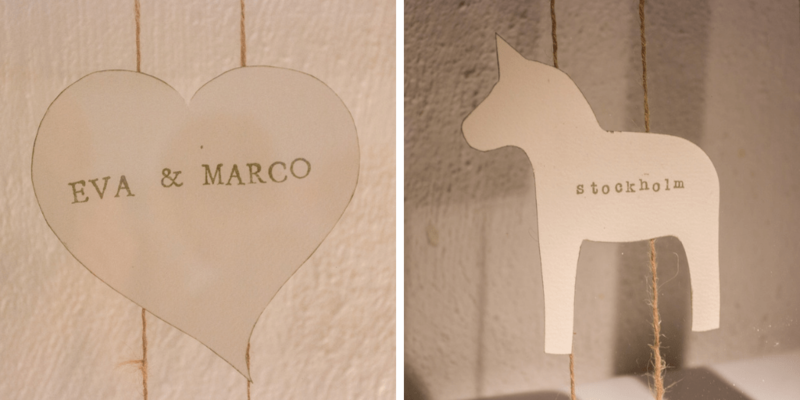 Then I found some adorable wooden tags and I bought those. 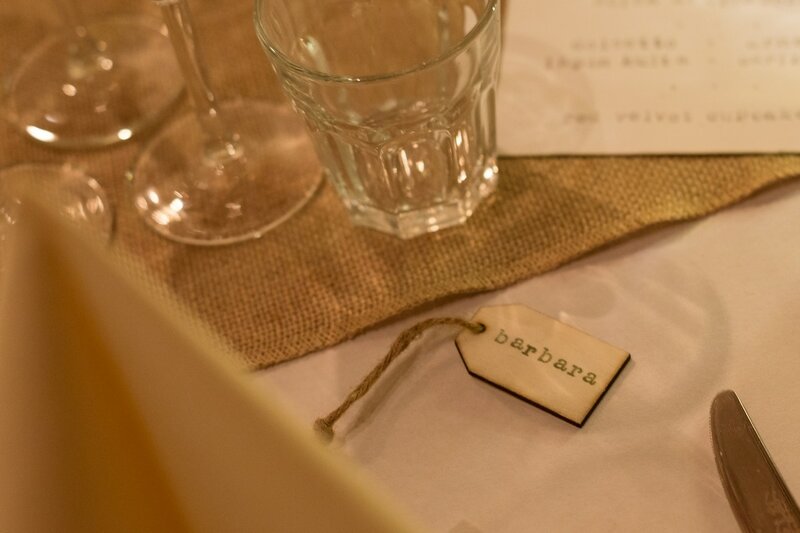 In line with the lettering on the seating chart and menus, I wrote the names on the seat markers with the same stamps and ink on every wooden tag. Call me weird but I am really not so interested in flowers. It’s not like I don’t like them, but they are usually one of the most expensive elements of a wedding and I had no desire in investing huge amounts on that. I understand the importance and aesthetics of a bridal bouquet, and I did have one. I just did not feel the need to have an abudance of flowers on every table at the reception. On the morning of my wedding day, I went to the street market on Hötorget with my maid of honour. We bought a bunch of roses, some eucalyptus stems and some gypsophila (baby’s breath) and she turned that into the most beautiful bouquet I could ever hope for. See my home-made wedding bouquet in the pictures from our wedding photo shoot. 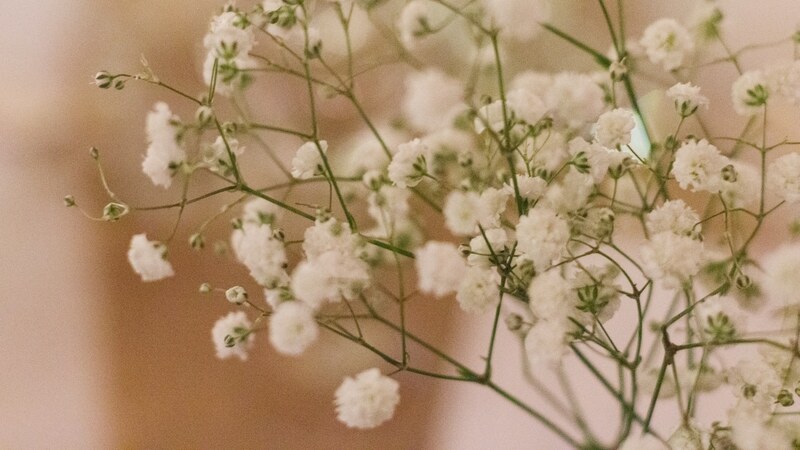 Baby’s breath was also the flower we had on every table at the reception venue. 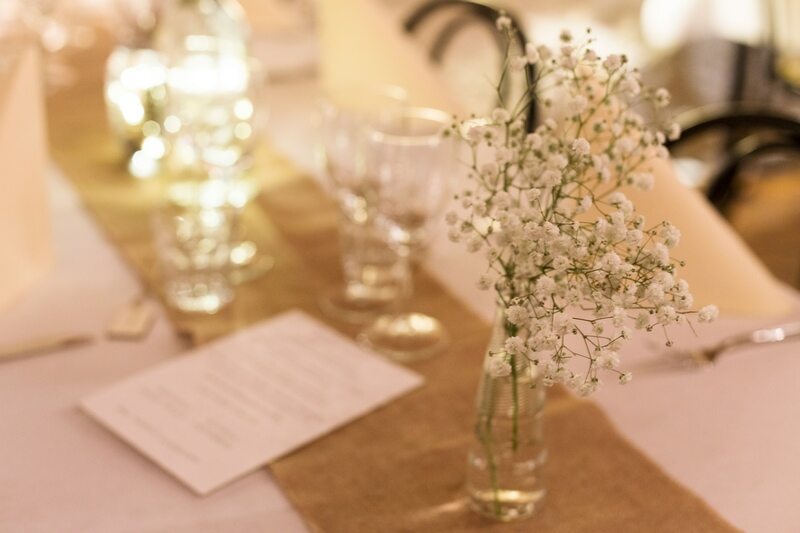 It’s elegant, simple and it perfectly matched the overall simple and rustic feel of my table decorations. I was perfectly happy with that and there was really no need for more expensive flowers. If on the cake and seating chart we had a reference to Dalarna, on the tables we put a little reference to our home country, Italy. Instead of using normal vases, we had the flowers in Aperol and Campari bottles. That was an original idea of mine, one I did not find on Pinterest. I just thought why buy cheap vases from Ikea (did I not stress it enough that I was going for anything cheapest I could find?) if the same amount of money can buy me aperitivo in Italy? So when I visited my parents in April and June we just drank Aperol and Campari every day, and I brought back the empty bottles to Sweden. They were perfect! The stars of the tables were definitely the centerpieces. Those were another DIY project I involved my parents in. In the middle of every table there was a mason jar filled with hazelnuts and pine cones, as well as battery-operated string lights. The name of the table was written on a small paper held by a small wooden heart glued to the lid of the jar. Those I had also written with stamps and ink on the same paper used for the seating chart and menus, so that all was matching. We started this project the previous summer, when my parents visited and we announced our engagement. First we bought the jars and string lights. Then my dad made small wooden cones the size of the jars to fit and hide the part of the light string where the battery is. In the fall my parents proceeded with the harvest of the pine cones and hazelnuts. When I visited in April we bought the wooden hearts and my dad made a cut on them so that we could fit in the paper signs. Finally, we brought everything back to Sweden and assembled them. It took a year to complete, and the total cost of all 10 of them was probably 50€. Still, all my guests were impressed and they looked damn fine. 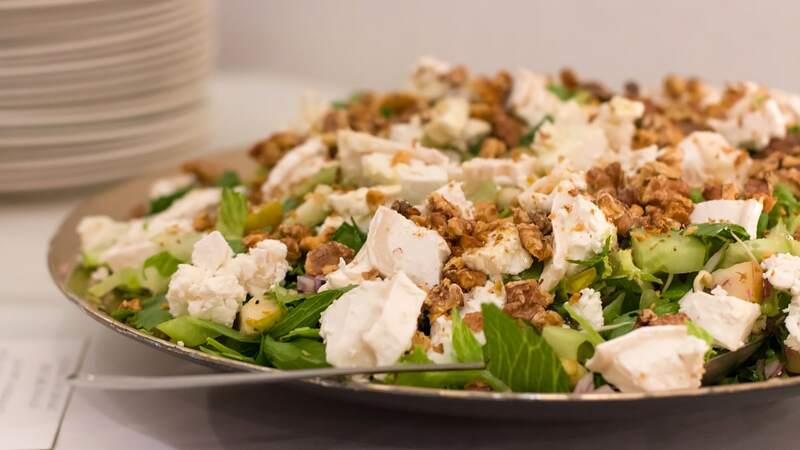 Simple flowers, DIY decorations – including the centerpieces on each table and the seating chart – and a buffet dinner with our own alcohol were key in making this wedding reception great while still budget-friendly. A lot of people spend enormous amounts of money on their weddings, and I felt like that is just not us. A pompous wedding with much more than what we had would have been out of budget and far from our rustic style and personalities. As simple as it was, our wedding reception reflected who we are and all our family members and friends had a great time. 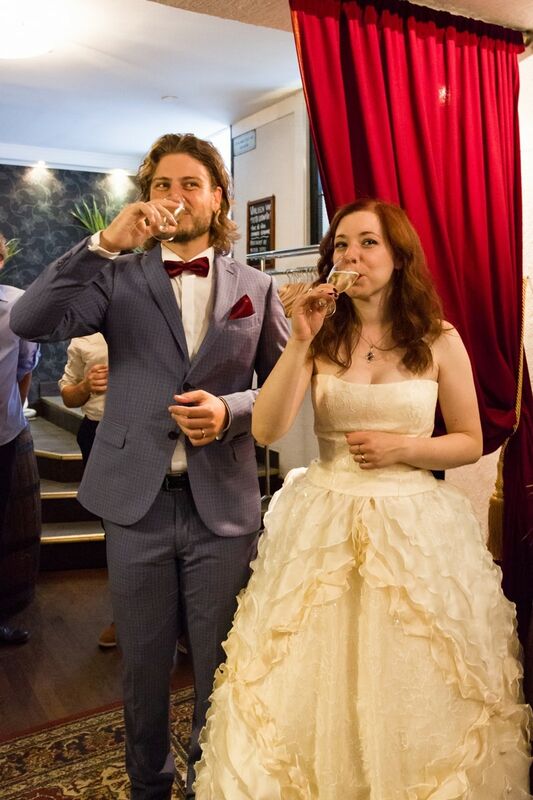 I keep looking at other people’s weddings on wedding photographers’ websites. I am constantly looking for inspiration, always trying to improve as a photographer myself. A lot of education to good image composition comes from just hours spent watching, observing, analysing other works out there. The amount of effort that some brides and grooms put on their wedding day is amazing. 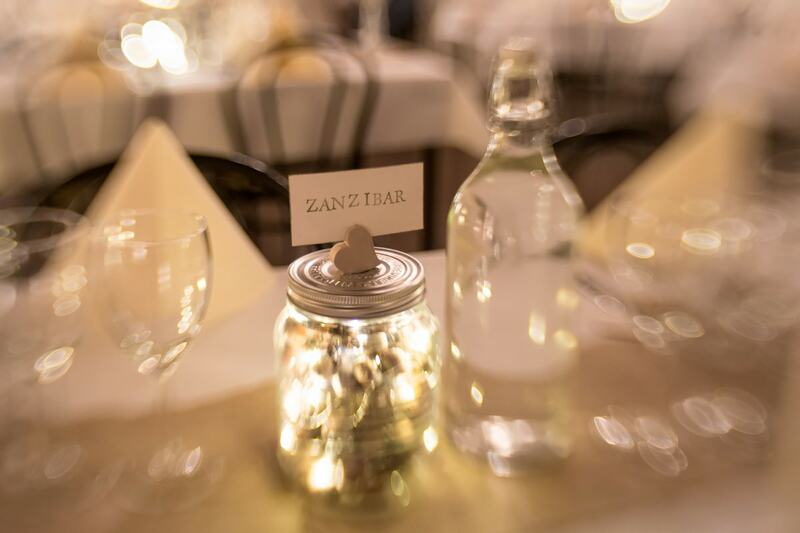 Certain wedding receptions are so well-thought that everything takes just the right amount of space and importance, and there is a harmony in how every single detail is arranged to achieve that stunning final effect. But simplicity is not always only synonym with being cheap. I have no problem admitting that I was determined throughout the organization of this wedding to keep costs down, and I’m glad I did. This way we were able to entirely fund our honeymoon ourselves without touching our savings. My budget was low, yet we wanted to have a wedding party with actual guests. And we did. Are you a bride on a tight budget that still wants to have a proper wedding with guests and not just a “cheaper” option like an elopement? 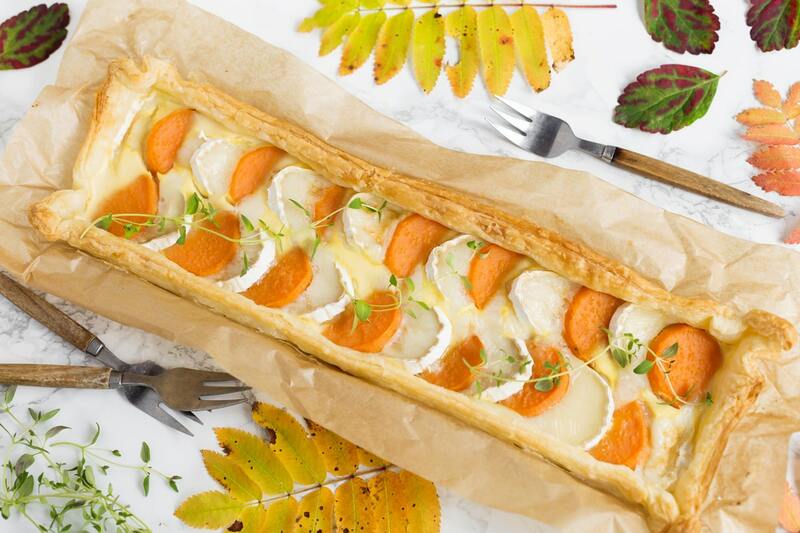 Consider a buffet meal, simple flowers and DIY decorations. It can really make a difference, still keeping things stylish and authentic.